Tim has been teaching since graduating in 2016 with a BA (Hons) in Music, achieving a 2:1. 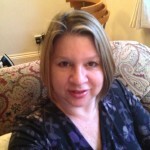 He has worked in both school and private settings, teaching children (5+) and adults. He is happy to enter pupils for either ABRSM or TCL exams, but understands that not all pupils wish to go down this route. His experience includes teaching people who have special educational needs and/or disabilities, such as dyslexia, ADHD, or autism, and he is happy to accommodate his pupil’s individual needs. Violin is Tim’s principal study, which saw him achieve success throughout his degree – his knowledge of the instrument was crucial in his development of other skills, such as composition. 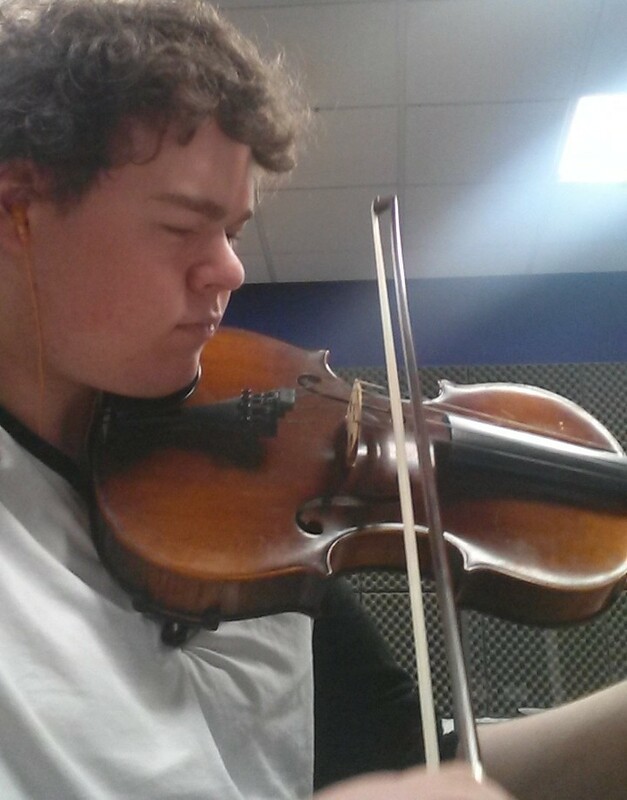 Tim teaches Violin up to Grade 6 standard and likes his students to explore repertoire from a variety of periods and genres, and encourages participation in ensembles. Being his second instrument, Tim teaches Piano up to Grade 4 standard. As well as the enjoyment of playing the instrument itself; he has found that through learning the Piano, his pupils have been able to have a more confident grasp of the theoretical aspects of Music. Tim offers lessons in Theory to support pupil’s with their wider musical learning, and also to work towards specific exams (including Grade 5 Theory, GCSE or A-Level). Tim also offers tuition in: Composition & Song-writing, Aural, and Curriculum Music. He is also skilled in arranging music and ensemble direction. Aside from his music-based work, Tim does support work with children and adults who have special education needs and/or disabilities. Tim is subscribed to the DBS Update Service and holds PLI. He has completed numerous courses in safeguarding and child protection; most recently, EduCare’s “Child Protection in Education (Music)” which is accredited by The Musician’s Union. In addition to ensuring these are kept up-to-date, Tim is keen to take part in continuing professional development activities. Chloe welcomes students up to Grade 8 in both piano and voice. Studying for the exams set by the Trinity College of Music ensures that music theory and general music knowledge is instilled. Other than learning exam pieces, students own repertoire can also be taught. 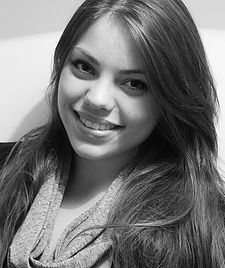 Chloe can teach a range of styles for the voice, including Classical, Musical Theatre, Popular, Jazz and Contemporary styles. Students as young as eight years old, are welcome to learn with Chloe. Chloe teaches a range of styles from Classical to Popular. Students as young as four years old are welcome to learn with Chloe. Chloe teaches general music theory and can teach graded Music Theory up to Grade 5. Chloe also offers assistance with GCSE, A-Level and BTEC. Chloe is a professional singer, specialising in classical genres; however, she boasts an extensive repertoire ranging from Music Theatre, Jazz to Contemporary styles. She graduated from the University of Chichester in October 2015, achieving a 2:1 in BA(Hons) in Music. Having achieved her grade 8 in both piano and singing, with grade 5 theory, she is now working towards her Diplomas in both instruments. I have been a piano teacher for the last 30 years teaching privately and in school. I love teaching the piano and really enjoy how playing can bring you happiness. All grades taught. An inspiring teacher who fuses both traditional and contemporary techniques. Be prepared to express yourself through music, have fun and work hard. With a 100% pass rate, a teacher who has a passion for inspiring ALL students. 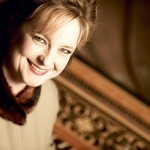 I teach piano and harpsichord to a wide range of students, from complete beginners to diploma and post-graduate level. I hugely enjoy helping each student to get more out of playing the music they love. Trained in Ukraine when the arts were valued. Taught one-to-one in music college for 18 years and then in a seminary for 3 years. 11 years private tutoring in the UK from beginner to Diploma level.